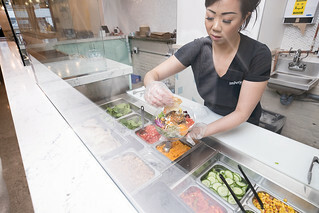 Over one-third of all fruits and vegetables produced end up in landfills because of their perceived imperfections. Undersized, discolored, or oddly-shaped produce that are completely fine for consumption are discarded because they do not fit the standard of beauty to be placed on grocery store shelves. 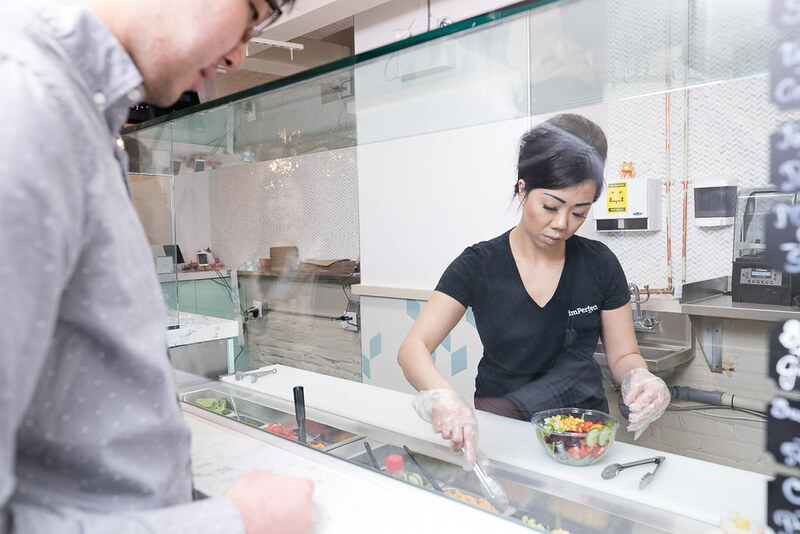 Founders, May and Jeff Dang (who are siblings), created IMPerfect Fresh Eats to raise awareness for this wasteful practice while creating a place where people can reconnect with their love for food in a delicious, sensible, convenient, and positive way. 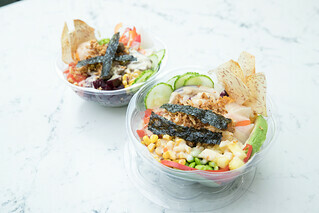 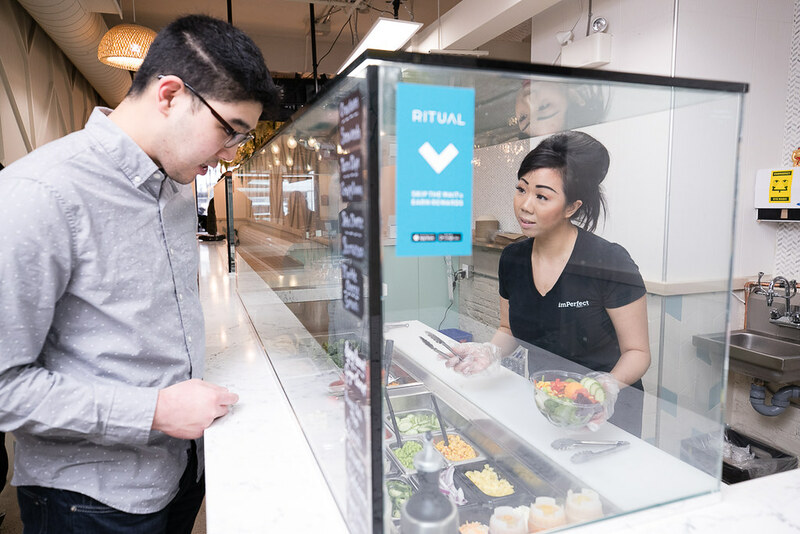 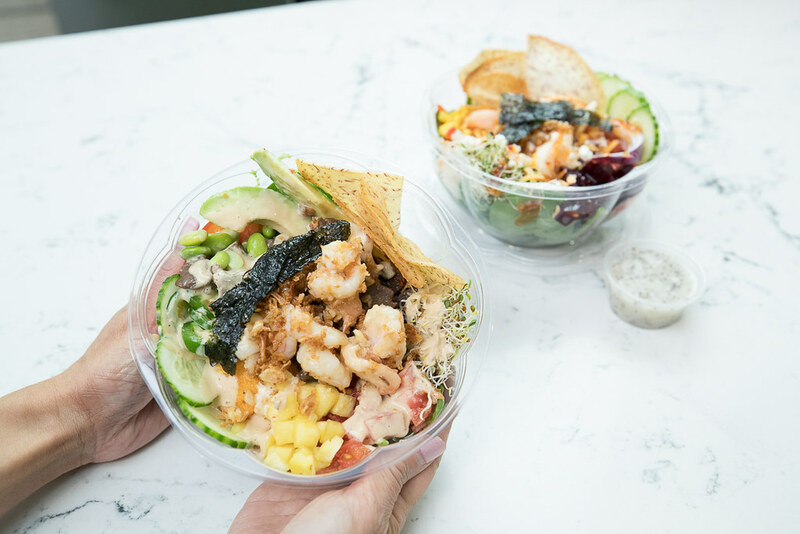 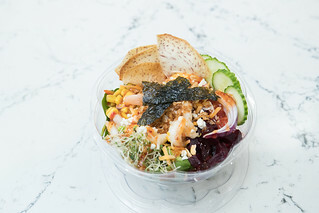 As owners of greasy-spoon fast-food chains before creating their own brand of health conscious fresh cuisine, Dang’s new restaurant concept offers a healthy dining option with lower overall costs for customers without sacrificing nutrition or taste. 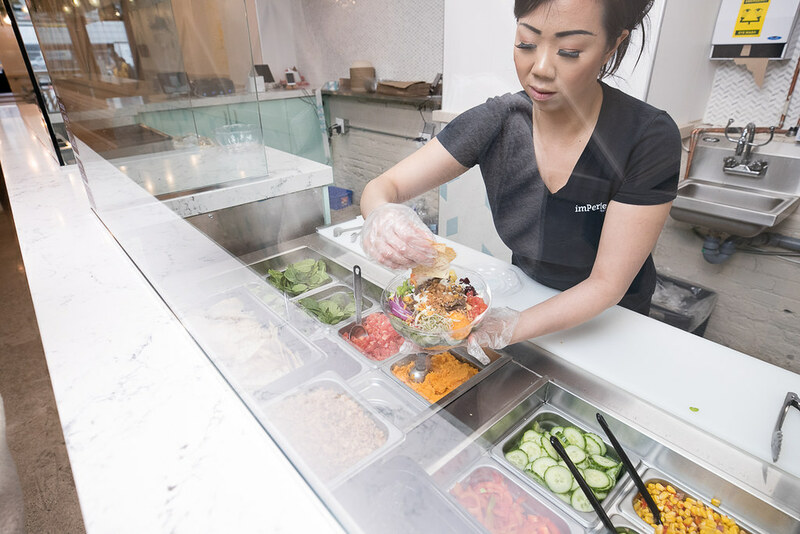 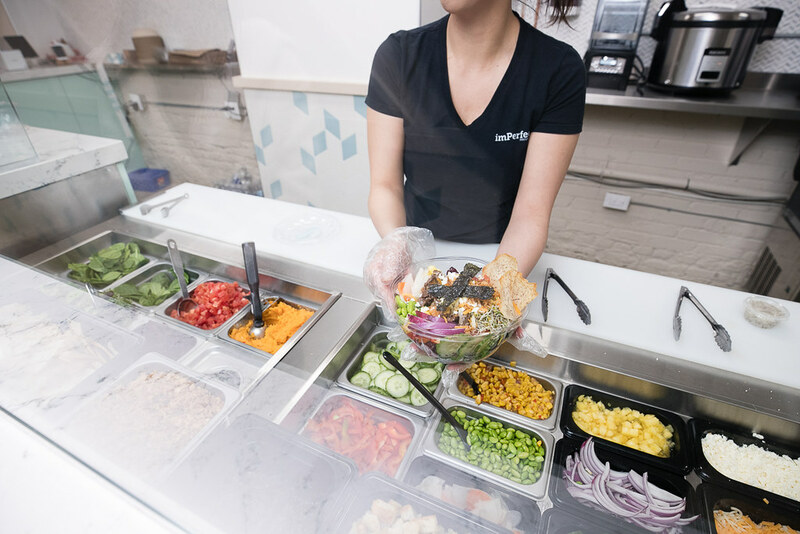 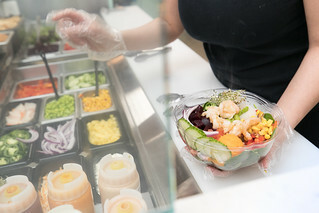 IMPerfect focuses on a customized experience where customers build their own wraps or bowls by selecting a base (rice, noodles, or salad), protein, an unlimited selection of toppings, and specially curated selection of sauces to finish off the entree. 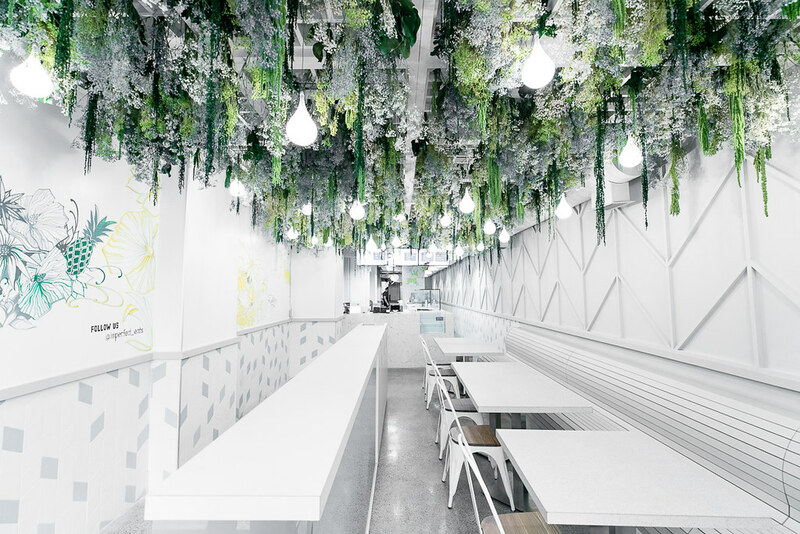 Designed by Syllable Inc, a Toronto based architecture and interior design studio dedicated to solutions driven experiential design, the space was inspired by the experience of dining outdoors at a farm or vineyard under a vegetated trellis. 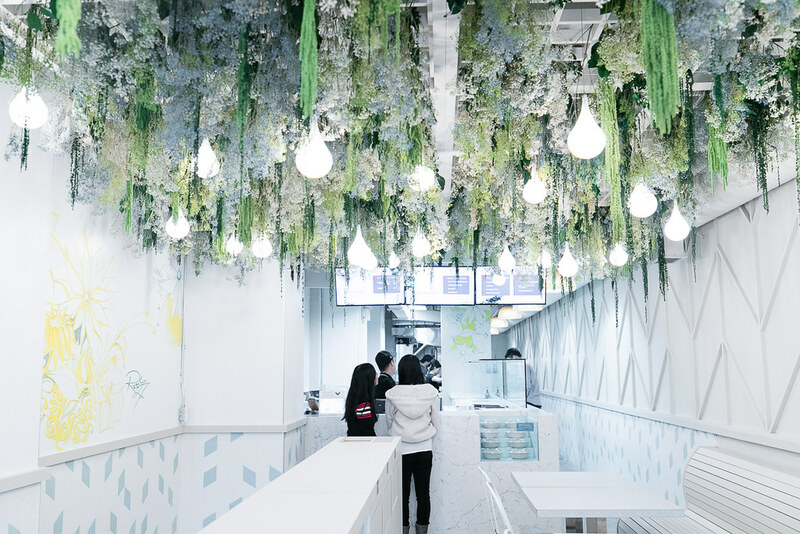 The dining space is conceived as an urban oasis where the undulating hanging droplets of light, hanging preserved vegetation, and interior finishing elements all come together to create an elevated dining experience. The designers Integrated nature into the built environment as a strategic play that creates a restorative ambiance. 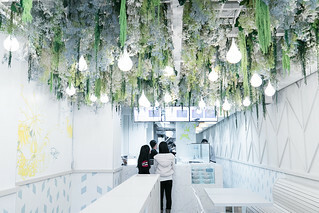 The rest of the interior detailing was deliberately muted to allow the vegetated ceiling feature to take the center stage. 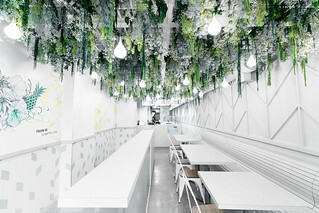 Chevron patterns that mimic the look of building rafters is used throughout the restaurant to further build on the farm inspire theme. 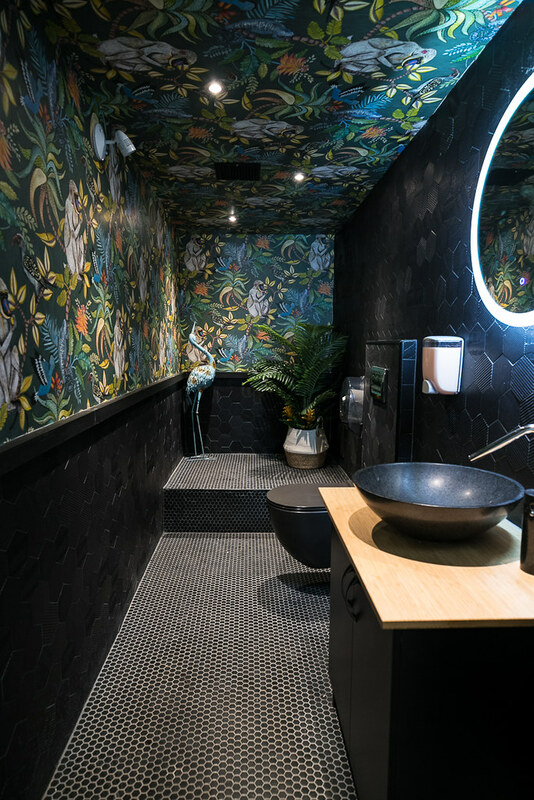 The washroom on the other hand, is conceived as the antithesis of the dining area and uses dark monochromatic material finishes with a jungle themed wallpaper. 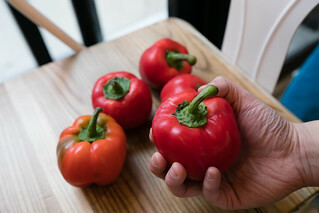 This restaurant is the first in Canada to source and use imperfect produce in their dishes, which are actually equal in quality to their perceived “perfect” counterparts. 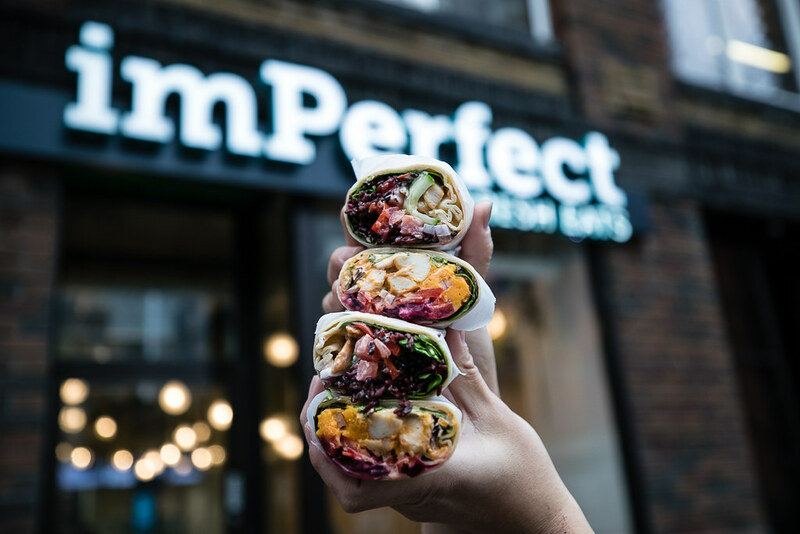 IMPerfect aims to start a movement that helps save perfectly good food from going to waste, support farmers with an extra source of income, and offer the end-consumer with an affordable, delicious and fresh dining option. 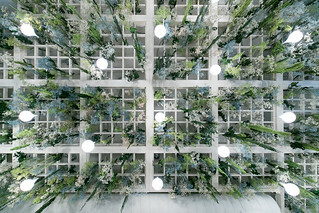 With that in mind, there certainly is beauty in imperfection.